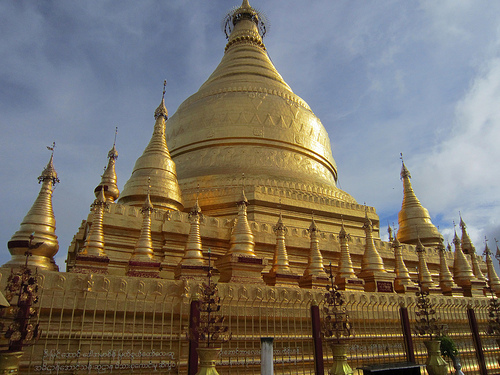 With extra time, you can spend time in Yangon. Bagan is by far the must-see location in Myanmar (Burma). There are over 4400 Buddist temples in the area the size of Manhattan. Most people stay in Nyang U, Old Bagan, or New Bagan. One of the best ways to get around Bagan is either in tour or by simply renting a bike. If you see a doorway, you can likely find steps that lead up to a viewing platform. It is also recommended to take a hotair balloon ride when in Bagan. The company is called “Balloons over Bagan”, but it costs $300 USD per person. These balloons are supposedly from Britain and have had no safety issues. This a particularly good way to see the sunrise. They are only available from October to end of March. Sunsets and sunrises in Bagan are also considered a must-see attraction. Multiple domestic airlines fly to Bagan. 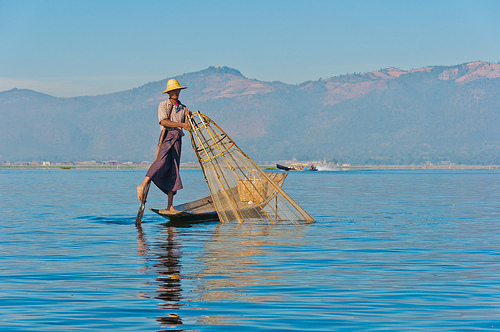 Inle Lake is another must-see location with floating gardens. 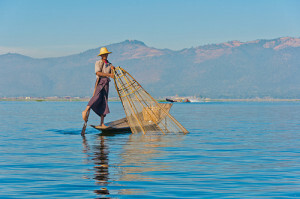 Full day or half day motorboat rides are possible of Inle Lake. Popular locations include the floating gardens of Kela, stupas of Inthein, and monastery at Nga Phe Kyaung. It seems that most tours stop at different workshops, which helps subsidize the cost of the trip. Outside a tour of the lake, you can go bike riding or go to hot springs. The main airport for Inle Lake is Heho. I read mixed reviews on Yangon. You will fly into Yangon and might be worth spending the night here. However, the Shwedagon Paya is located in Yangon. You can also stop in the former capital of Mandalay if want to spend extra time.